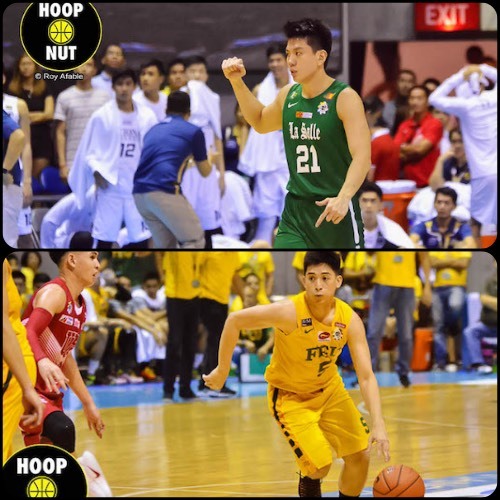 Hoop Nut #UAAP79 De La Salle FEU NU UAAP UE #UAAP79 Roundup: Archers survive Bulldogs while Tamaraws gore Red Warriors on Day 7! Day 7 of #UAAP79 saw DLSU nearly get upset by NU while FEU bounced back with a win over UE. The De La Salle Green Archers got tested by the gritty NU Bulldogs, needing to erase a nine-point deficit in the second half to come up with a 75-66 win in UAAP Season 79 action Sunday at SMART-Araneta Coliseum. Jeron Teng finished with 23 points while Ben Mbala collected 16 markers and 15 boards as the Green Archers improved to 4-0. 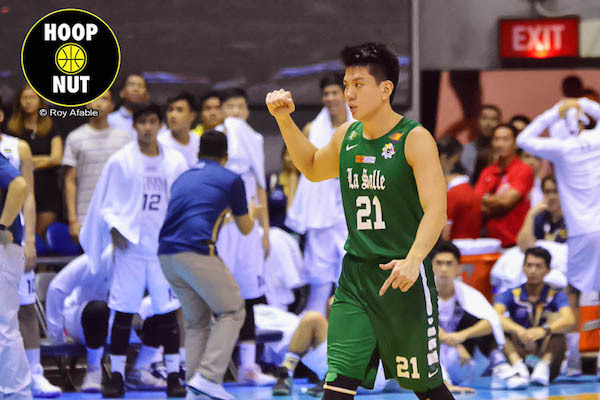 Jeron Teng and the Archers keep rolling. Ben Mbala continues to dominate. 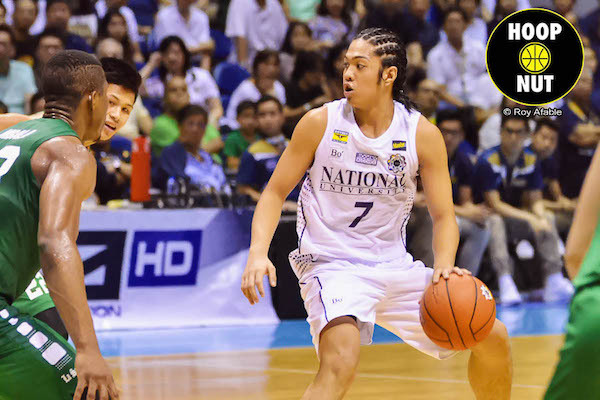 J-Jay Alejandro and the Bulldogs have been inconsistent. NU stood its ground against La Salle for three quarters, neutralizing Mbala with great team defense. The Bulldogs enjoyed their biggest lead at nine, 52-43, late in the third quarter. But a 9-2 run capped by back-to-back Ricci Rivero baskets pulled La Salle within just two, 54-52, entering the final quarter. 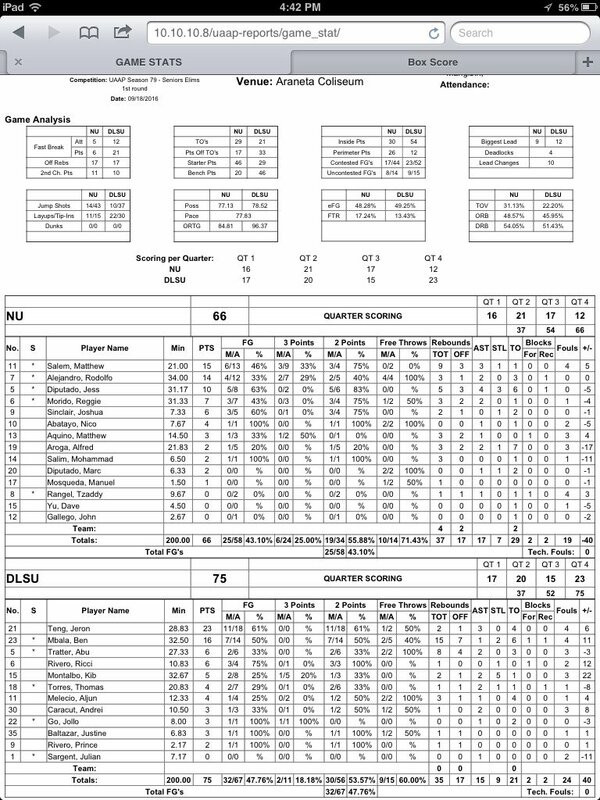 Matt Salem scored 15 points while JJay Alejandro added 14 to lead NU (2-1) which dropped its first game of the season. 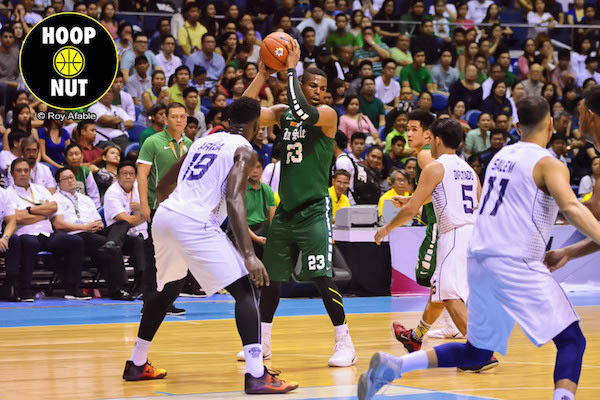 Ben Mbala (DLSU) - 16pts, 15rebs, 1ast, 2stls, 1blk, 7/14 FGs. Matt Salem (NU) - 15pts, 9rebs, 3asts, 1stl, 3 triples. 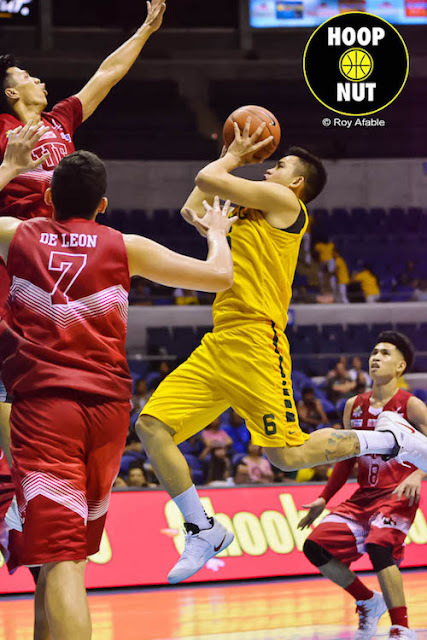 The defending champion FEU Tamaraws outlasted UE in a tough encounter, 67-59, in UAAP Season 79 action on Sunday at the SMART-Araneta Coliseum. 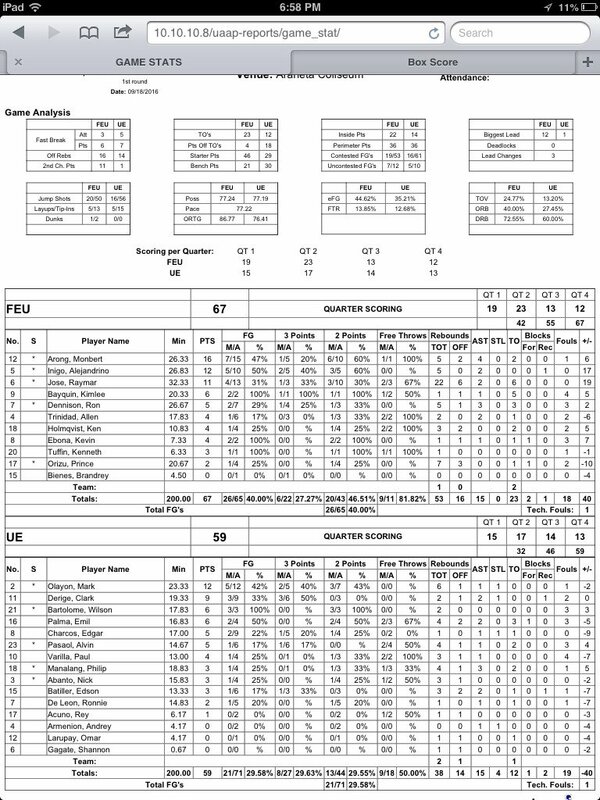 Monbert Arong scored a career-high 16 points for FEU, while Axel Inigo added 12 markers. 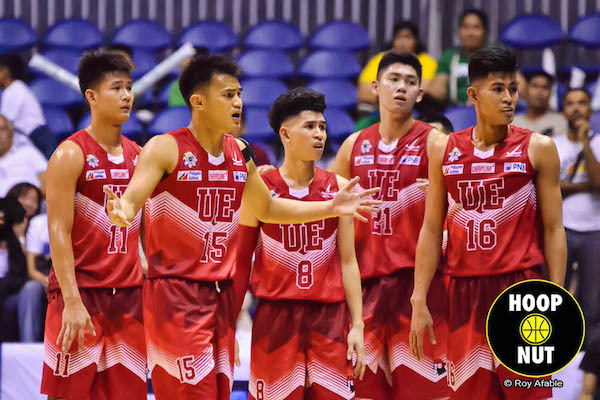 Axel Iñigo dribbles past the UE defense. The Red Warriors remain winless. Raymar Jose put up a monster double-double. Raymar Jose also had a huge double-double with 11 point and a career-best 22 rebounds in the win. 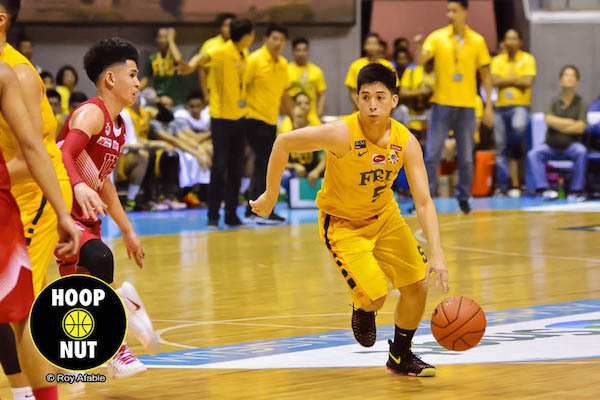 The Tamaraws improved to 2-2 while the Red Warriors dropped to 0-3. Raymar Jose (FEU) - 11pts, 22rebs, 2asts. Mark Olayon (UE) - 12pts, 6rebs, 1ast, 1stl. All images are by Roy Afable/Hoop Nut.